Women of Kitchener-Waterloo, we’re kicking off the year with a soul sister meet-up that’ll have you feeling Unstoppable. RISE together and join us! 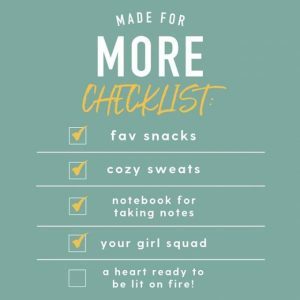 Join us on Wednesday, January 30, 2019 at 7:00pm, Princess Cinemas in Uptown Waterloo for an exclusive screening of Rachel Hollis: Made for More documentary. Our first screening event on Monday, January 28, 2019 is SOLD OUT. Don’t miss out a second time! Unstoppable You Members have free access! Go behind the scenes with “the Tony Robbins for Women.” See how Rachel Hollis breathes life into the RISE conference series — bringing women who don’t look the same, vote the same, or act the same together in a supportive and inspirational community. Experience the energy and enthusiasm of a RISE conference, normally a 2- to 3-day event, in the span of a feature length documentary. For a sneak preview, check out the trailer. 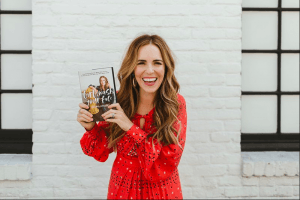 I first heard of Rachel Hollis when I heard that she’d made a film based on her inspiring RISE conferences, I knew I wanted to share it as part of the Unstoppable You Project. Besides, who doesn’t love a woman who can rock a pair of leather yoga pants? 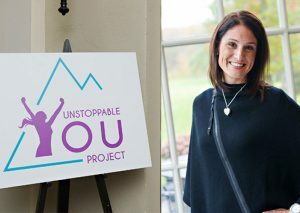 Founded by Dr. Michaela McClure, The Unstoppable You Project is a membership based initiative that brings together like-minded women in Waterloo Region. It’s aim is to facilitate self-enrichment and community care in an inclusive environment, where women can feel uplifted and connected. The power of one is mighty, but the power of many is MIGHTIER!